Part 102: Nebuchadnezzar II. If you know your history, or payed close attention to the past devotions as of late, you are probably wondering why there would be a devotion on Nebuchadnezzar II, the fierce and mighty king of Babylon. Up until this point, I have covered the major Biblical characters (and some minor ones) who were a part of the Hebrew People. I have addressed kings, for sure, but they were Hebrew kings from either the northern Kingdom of Israel or the southern kingdom of Judah. So, why now am I choosing to focus on a Gentile king, a king who was not born under the Torah (aka the Covenantal Law of God)? 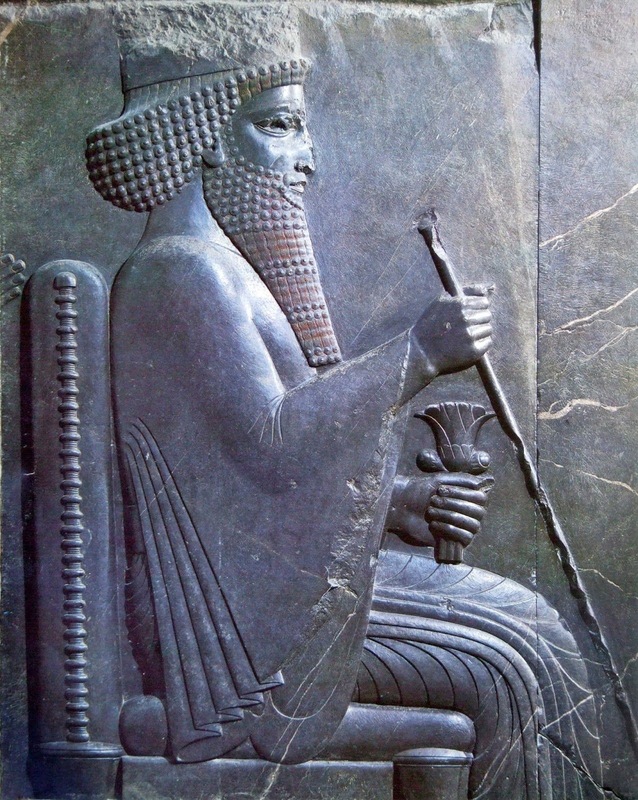 I didn’t write about Pharaoh or the king of Philistia or any other Gentile king; so, why now write about Nebuchadnezzar II? He wasn’t one of God’s people, right? Well, if by “God’s people” one means a descendent of one of the tribes of Israel, then he or she would be correct in saying that Nebuchadnezzar II was not one of “God’s People”; however, he was one of God’s people in that he is a part of the human species, created by God in God’s holy image, just as we all are. What’s more, Daniel reveals that Nebuchadnezzar fulfilled God’s plan whether he realized it or not. While God would have never chosen for Judah to be conquered and exiled, God worked through their sinfulness a plan for redemption and reconciliation. Nebuchadnezzar was a part of that plan. The Babylonian king was a fierce and ruthless man, full of power, authority, and ego. He conquered lands and removed the ruling classes into exile, destroyed their religious institutions, and left only the insignificant and poor behind. This was done so that there would be no resistance to his rule, because the only ones who were left behind were the ones who were in no position to resist his rule. If you recall, Nebuchadnezzar beseiged Jerusalem after the Jewish king double-crossed him. The seige lasted for 18-30 months and was most brutal. He eventually took the city, captured King Zedekiah and had the king’s children murdered before him prior to gouging his eyes out and taking him back to Babylon to live in a dungeon until he died. Also, among the people he exiled to Babylon were Daniel and his three friends, Hananiah, Mishael, and Azariah (aka Shadrach, Meshach, and Abednego). Nebuchadnezzar was a prideful, egotistical ruler. It is this king that spared Daniel because he proved to be a useful interpreter; yet, on the other hand, he condemned Daniel’s friends to burn alive in a fiery furnace for refusing to bow down and worship the king. He also ignored Daniel’s warning to humble himself and submit to the will and authority of God most High. As a result, he brought the judgment of God down upon himself. This king, this powerful and mighty warrior, found himself in a very humbling set of circumstances. He became mentally ill and delusional, wandering the wilderness within Babylon like a wild animal, and grazed on grass while groveling in the dirt and dust. This mental illness lasted for seven long years, until the moment where Nebuchadnezzar humbled himself and acknowledged the power and authority of the one True God. Upon doing so, his kingdom was restored back under his control. What is important to understand about Nebuchadnezzar is this, all authority in heaven and on earth exists in God almighty. There is no human, no matter how powerful, that deserves credit for what they have done. When our leaders and our rulers credit themselves for what they have done to make their nations and this world better, they are puffing themselves up above God and making idols of themselves. Worse still, they are leading countless others into idolatry, into giving the leaders the credit and the worship as opposed to God. This should be challenging to us all in that it should remind us that no human, whether leader or not and whether it be ourselves or not, should receive the credit and prasie that is due our God. Let us take that warning to heart and adjust our hearts if need be. Jesus Christ is Lord of all and nothing can, nor will, trump Christ’s authority. Follow Christ, not the current world order. Lord Jesus, help me to put You first in all that I do so that I may steer clear of idolatry. Amen. Part 78: Uzziah. Uzziah, as he was known to the author of 2 Chronicles, or Azariah as he was known to the author of 2 Kings, was king in the ancient kingdom of Judah. He was 16 years old, if you can imagine that, when he became king. The first 24 years of his reign he shared as co-regent with his father, King Amaziah. The remaining 28 years following his father’s death he ruled as the sole king of Judah. Thus, King Uzziah was ruler of Judah for a total of 52 years. Quite a reign for a king in the ancient world. Both 2 Kings and 2 Chronicles state that Uzziah had ruled Judah well and that he had “what was right in the sight of the LORD.” The Chronicler (aka the person/people who wrote 1 and 2 Chronicles) wrote that the king followed the instruction of a spiritual menor named Zechariah, not to be confused with the prophet who wrote the eponymous book in the Hebrew Scriptures. According to the Chronicler, Zechariah imparted the visions and deep respect of the LORD to the king. While this spiritual mentor lived, Uzziah sought the guidance of God through Zechariah. He declared war against the Philistines, the Arabs of Gur, and the Meunites. He was able to get the latter group to pay Judah an annual tribute in order to maintain peace. As a result of this, he had become a very powerful and influential king the his fame spread to even Egypt. His army was massive, his fortifications were improved upon, and Judah was a force to be reckoned with. As a result, the king’s pride and ego grew with his power and fame. This should not be surprising for it is nothing new. His pride and his ego led to his ultimate downfall. He wrongfully entered the sanctuary of the LORD, where only the high priest was permitted to enter, and personally burned incense on God’s altar. The high priest, along with eighty other brave priests, called him out on his egotistical sin. They told him to get out of God’s sanctuary, but the king was furious and refused to listen. As a result, he broke out with leprosy, an infectious skin disease that rendered him unfit to rule, unfit to live in the palace, and unclean (which would have banned him from the Temple altogether). 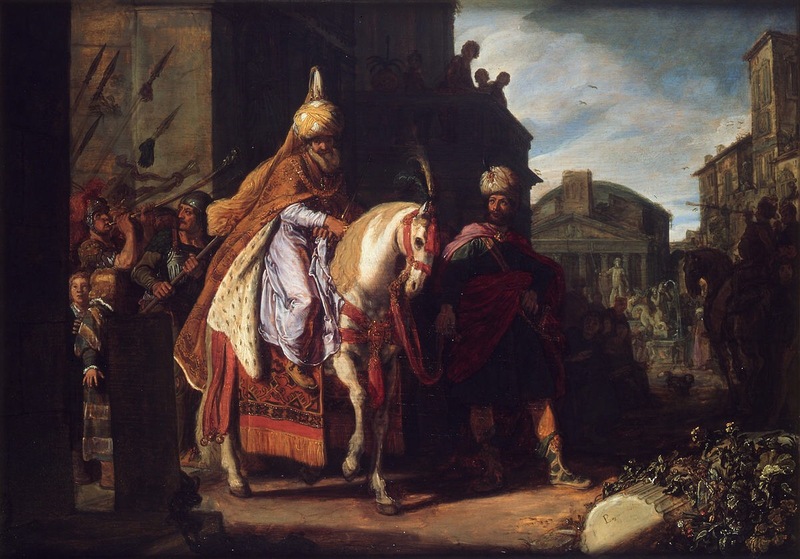 His son, Jotham of Judah, took over as “co-regent”. Though his father was still seen as king to the end of his life, it was his son who really began to rule at that point onward. Uzziah’s pride got the best of him; however, he was still one of God’s chosen kings and one of God’s people. The proof of this would come approximately 738 years when, as Matthew records, Uzziah’s descendant was born. That descendant, of course, was Jesus of Nazareth, the Messiah, the Son of God. Let us learn a lesson from King Uzziah. We, who are God’s people, find ourselves empowered by the Holy Spirit when we are open to the guidance and the presence of the LORD. With that said, when we allow our pride and/or our egos to take the place of God, we can find ourselves facing unintended consequences for our corrupted hearts and actions. Those consequences are brought on by ourselves; however, they do not remove us from the grace, the love, and the ultimate mercy of our Lord and Savior. Let us be a people who, rather than go down the hard road of unintended consequences, keep our egos in check and remain fully dependent on our Lord and Savior, Jesus Christ. Lord, humble me and fill me with your Holy Spirit so that I may grow in my dependence in you and rely on your guidance to lead me to where you are calling. Amen. Part 53: King’s Pride. I am hoping that by now we are seeing the complexity of King David. We’ve seen the best of humanity in him, seeing him step up in faith and face giants. We’ve seen his skill as a commander, his faithfulness as a friend, his humility, his artistry and musicianship. We have also seen the worst of humanity in him. We have seen how manipulative he could be, how deceptively he could operate behind the scenes, how politically motivated he was, how over-the-top ambitious he was, and how he would stop at nothing, including murder, to get what he wanted. On the one end, David was a person after God’s own heart, on the other end he was a person that acted in ways that were far removed from God’s heart. It also would not be fair to David to not mention that he was repentant for the sin of his sexual relationship with Bathsheba and the murder of Uriah, the Hittite. So, today’s scriptures may seem a little harsh on the part of God, right? All David wants to do is build God a temple, a house for the God of Israel to dwell. What is so wrong with that? Why would God not allow David to move forward with such a “glorious” endeavor meant to inspire all of Israel to hold God in awe and worship the Creator of all things. Didn’t David admit to and repent of murdering Uriah? Why did God then throw the fact that David had “blood on his hands” at him. Doesn’t God forgive and forget? As far as David’s repentance of the Bathsheba/Uriah scandal and murder, yes, he had repented; however, he did so only reluctantly after being caught, shall we say, with his pants down. Yes, David was humbled by the prophet Nathan, and did allow humility to win the day in his response. Yes, he did eventually accept responsibility for his actions. But that is just one of a plethora of David’s sins. Let’s not forget that this is the man who killed, then circumcised, 400 Philistines “for God”. Okay, they were in war and killing is a part of war, but circimcising the dead? Really?!?! Let us not forget that David is the one who seemingly was offing his political opponents, and then executing the ones who carried out the orders in order to “save face” and put on a good, calculated, political show. Of course, as has been mentioned, it takes a bit of reading between the lines to see this, and there is nothing explicitly said in the Bible that shows David doing this; however, there is reasonable suspicion here. This is the man who married a woman for political motivations and then abandoned her and married someone else, even though he was still married to her. This is the man who loved to hear the crowds cheering his name as the victor and savior of his people. I could go on and on regarding David’s flaws. The question we have to aks ourselves is this, was David repentant of all of those things? Did the Nathan scolding change David’s heart completely, making him acknowledge and repent of all of his sins? While we cannot judge David’s heart, God can and we see the answer in God’s response: “You must not build a temple to honor my name. You are a warrior and have shed much blood.” It seems that God did not feel David’s heart was where it ought to be, and that the temple was more an exercise of David’s pride than it was an endeavor to bring God’s glory. 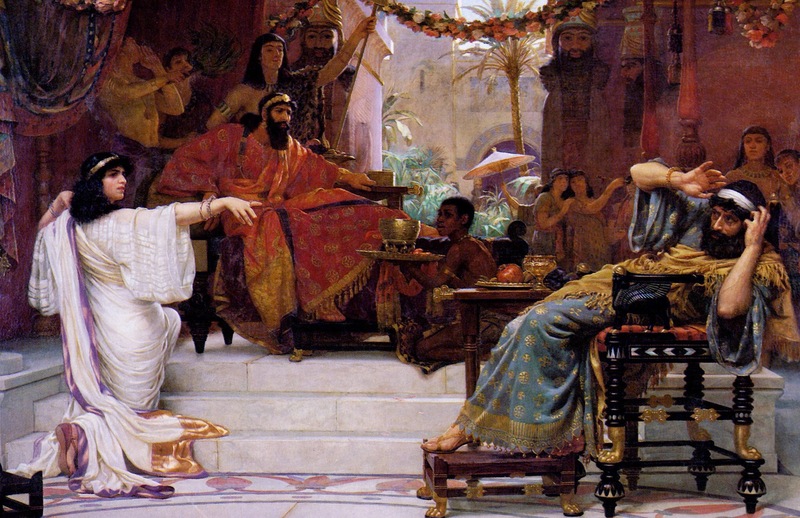 After all, great kings are often known by their magnificent buildings, and the temple went down as Solomon’s (David’s son) crowning achievement. What’s more, let us not forget, also, that God’s response to David happened prior to his murdering Uriah, not following it. The point of this is not to pick on David, but to learn from him. David’s pride knew no bounds and God knew the real intent for David to build a “home” for God to live in. Here’s the thing, can any building made of stone and wood house the Lord of all Creation? Of course not. Besides, the only home God requires is the human heart. If all the people of the world opened their hearts to God…now that WOULD bring God glory. Let us learn from David that our pride is our worst enemy when it comes our relationship with God and with others. Let us lay aside the king’s pride, and adorn ourselves with the humility of the Good Shepherd! Lord, I hand my pride over to you and seek to serve you in humility. Help guide me to fulfill this prayer. Amen. Ailment #7: Being Rivals or Boastful. I bet you are puzzled right now! You are probably thinking, “There is no way on God’s green earth that Jesus said the things that he’s written above!” If so, you are right. The above words are NOT Jesus’ words; however, they are the words that the institution of the Church convey to people, both the faithful and the unfaithful alike! Again, the Pope was addressing this to his Curia; however, this is not exclusive to the Roman Catholic Church. This is a church-wide reality. Every denomination is rife with rules, regulations, and stipulations on what is reserved solely for the upper eschalon of the church, for the clergy, and for the lay people. And within the laity, certain people have more “rights and privileges” than others. Before I go on, I must put this caveat out there. Not all rules, regulations or stipulations are bad. As clergy, I understand why it is important for the church to weed out those who don’t have the gifts and graces for pastoral ministry from those who do. It’s not so much to say that one is called and the other isn’t; however, it is the church’s way of both affirming that all are called and helping to discernt to what each person is called. Not everyone is called to be a bishop, or an elder, or a deacon, or a treasurer, or a committee chair person. Yet, all are called to be ministers in their own right and the church should helping all Christian to discern where their gifts and graces are. Often times, though, the church gets in it’s own way when it comes to that discernment. Often times, it crushes the Spirit rather than giving it room to move. 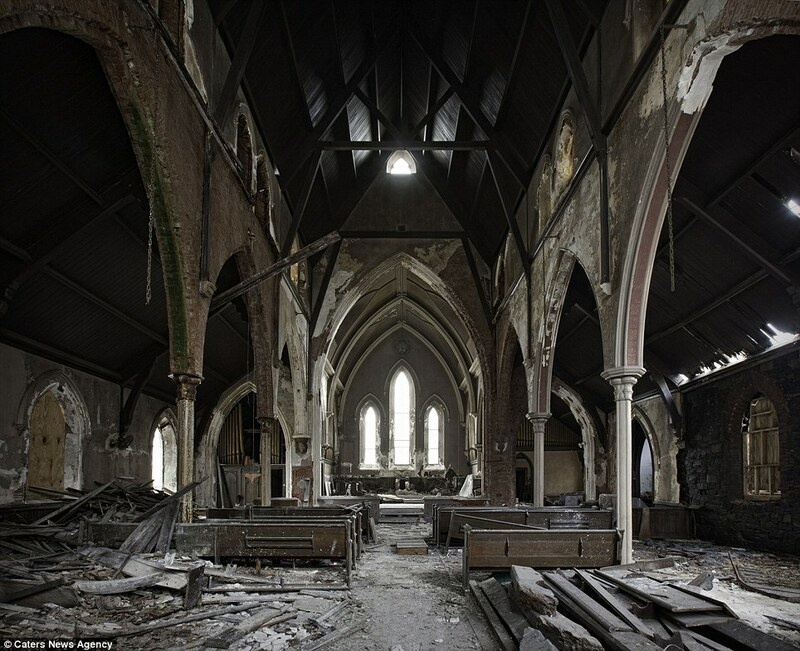 Often times the church gets caught up in power plays and power struggles and abandons the Spirit altogether. This happens at the denominational level, at the local church level, and at the individual Christian level as well. The only thing that this does is cause rivalry and division in a church that is supposed to be united in its mission to follow and serve Christ. Today’s challenge for you, individually, is for you to reflect on the following questions. Have you been giving room for the Spirit to move, or have you been crushing the spirit under petty and oppressive rules, regulations and/or stipulations. Have you been claiming the power of God, or boasting in your own powers and abilities? Are you following Christ or are you following yourself? Are you helping to discern the Spiritual gifts and graces of others, or are you deceiving them to think that they NEED you in order to be followers of Christ? These may be tough and painful questions to ask yourself; however, they are questions each of us, as Christians, should be asking of ourselves. Like Jesus, we should be empowering people with the spirit, not hoarding what isn’t ours to hoard anyway. Remember you are empowered by the Spirit to empower others through the Spirit and that in this empowerment, not false power, lies the LIFE of the church! Lord, allow me to give up whatever power I think I may have, in order to be empowered by the power of your Holy Spirit. Amen.